Here’s another product from the school of Japanese “can do” ingenuity. 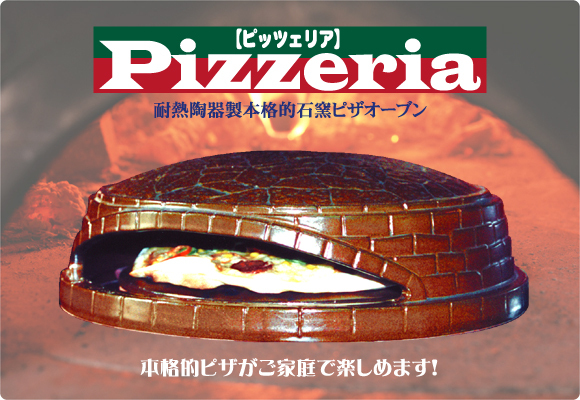 The Japanese has developed an ongoing love affair with pizza. Many people love the traditional Italian variants but then there are also some who have an affinity for a more decidedly more Japanese tasting ingredient combinations (like squid!). This Pizzeria now allows you to actually make whatever kind of pizza you want from the comfort of your own home. The product is actually a ceramic oven that you can put on your stove burner. No more need for an actual oven and the stone slab to make the crust crispy. This thing does it all and it is quite convenient to use. The small size is also perfect for the cramped Japanese kitchen. The Pizzeria is being sold by Hakuho-web.com. You no longer need a huge oven to make pizzas at home. With Pizzeria, a new ceramic oven, you can make hand-made pizza on the stove burner. It is very easy to use. Just put the pizza crust and toppings inside the Pizzeria, set for 300 degrees C and let it do the rest.